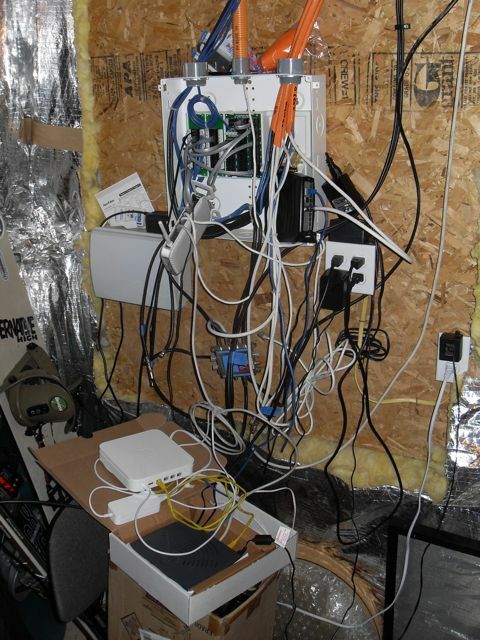 Show Us Your Computer Cable Mess for a Chance to Win! Many of you fight the computer cable battle each time you add a new piece of hardware or move your ‘rig’. 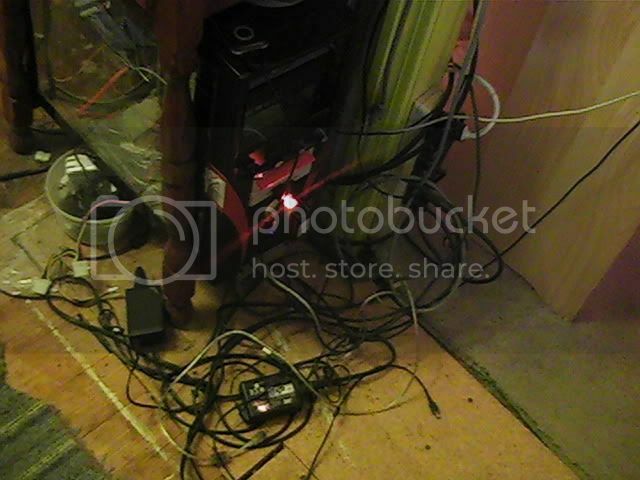 Post a link to a photo or video of your computer cable mess – in the comments below – for a chance to win some help. Our friends at Stick’nGo® Cable Labels have provided us with 10 deluxe computer label packs to help you take a critical step towards organizing your cable rat’s nest. On April 30, 2010, we will select 10 lucky winners from the submissions posted here. Winners will be notified via the email supplied with the comment/entry and included in the May newsletter. be recorded – this improves security and assists in the return of laptops and other portable devices! All members of the PC Pitstop community who spend over $25 USD with Stick’nGo®, receive a Bonus Pre-Printed Computer Cable Label Pack, valued at $12.50 USD – that’s a 50% bonus! The Pit Blog cable labelling, cable labels, label colors, strength durability, water chemicals. permalink. if some1 reads theses befor they announce the winners please email me useing the email i posted cause am not sure if i can get ur email am haveing probs getting some emails…..
You asked for it. Fixing could be a nightmare. I’m not sure there is help for this mess or me. 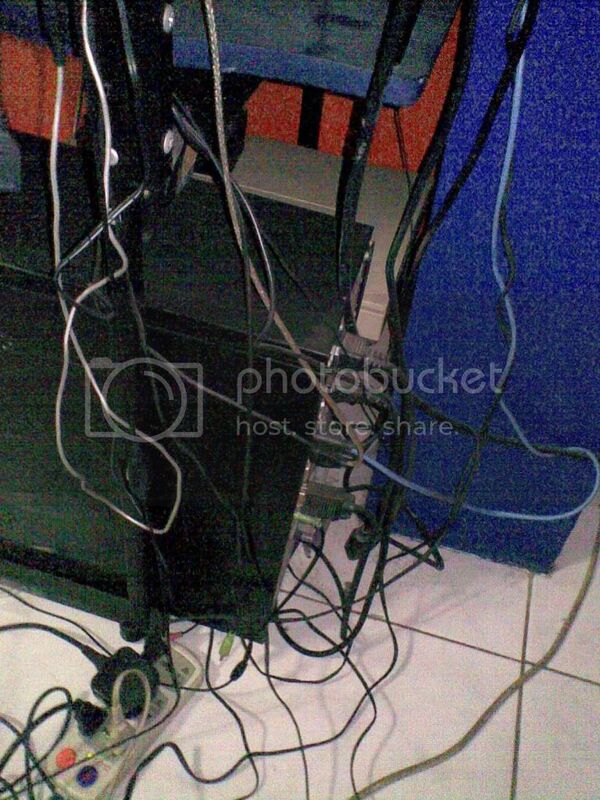 Closet cableholic in need of a 12 step program; (and Stick’nGo® Cable Labels). I love the smell of wire burning in the morning, when I eat cables for breakfast! I’ve lost small children in there! Here’s my computer cable mess (after I spent hours adding some tags). It’s still a mess, but at least I can find the right cable without too much difficulty. I didn't think there was anything I could do about this mess. It drives me nuts. What a mess. Too many wires. Looks like a jungle and is a major effort to work out whats what. 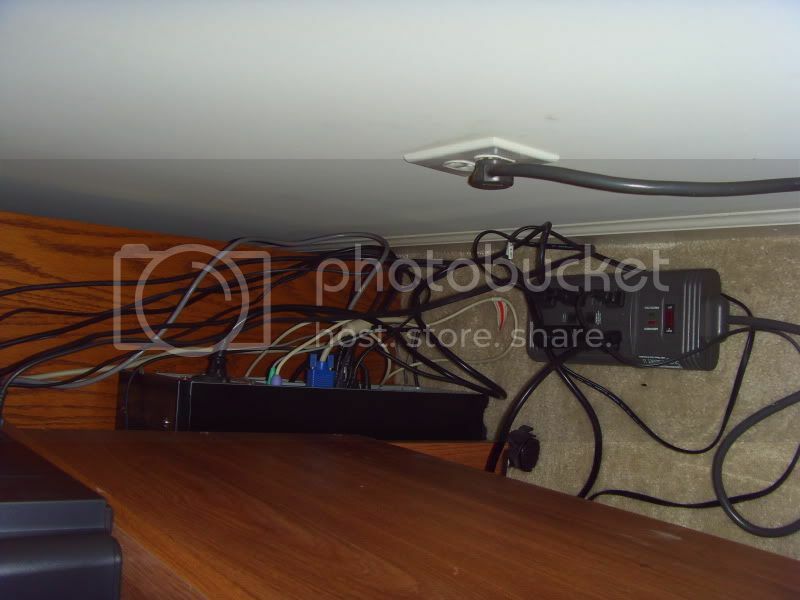 This my under desk cable mess!! This is my computer cable mess. I would love to win–my cat thinks this is a maze.